This morning, I decided to bite the bullet and step on the scale. I kind of avoided it while I was convalescing because I knew I was going to struggle with my weight. After all, I couldn't put much weight on my ankle. Running, walking, the elliptical, and pretty much all of my favorite calorie burning workouts were out. I hoped I would be able to keep my eating under control enough to mitigate my lack of exercise while I healed, but I wasn't optimistic. According to my scale, I didn't do a very good job. Three months of not being able to exercise has translated into approximately 10 pounds of weight gain and I am ashamed. I gave myself a minute to whine, then I decided that even though my ankle still isn't fully healed, I need to get my workout game back under control. 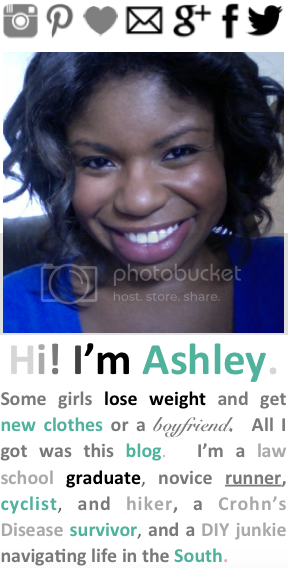 I began with a bike ride and ended with a workout DVD from Mash Up Conditioning. They are currently in the process of rebranding themselves as 5XMORE because their workouts combine mind/body, agility, strength, and high intensity intervals into short 15 minute workouts that are supposed to be 5 times more effective than steady state exercises. The DVD includes a bunch of 15 minute workouts that can be done alone or all at once. I went through several of the 15 minute workouts and really liked them. There are a lot of free weight and body weight exercises as well as short bursts of cardio to get your heart rate up. They also show beginner, intermediate, and advanced modifications for each exercise with the beginner modification performed by a pregnant woman. I couldn't do any of the high impact jumps for the intermediate/advanced versions of the exercise because of my ankle, but I found that I was able to adjust most of the beginner modifications to accommodate my injury but still give me a good workout. I like the DVD and I think if you have tried and liked any of Jillian Michaels' workouts, you would probably like Mash Up Conditioning Tempo too. The only issue I had was that I couldn't get the DVD to play in my Macbook Pro. It was no big deal for me because I had another DVD player available, but I thought I would mention it because a lot of people use their computers to watch DVDs and I imagine it's a coding issue that can be fixed in the future. 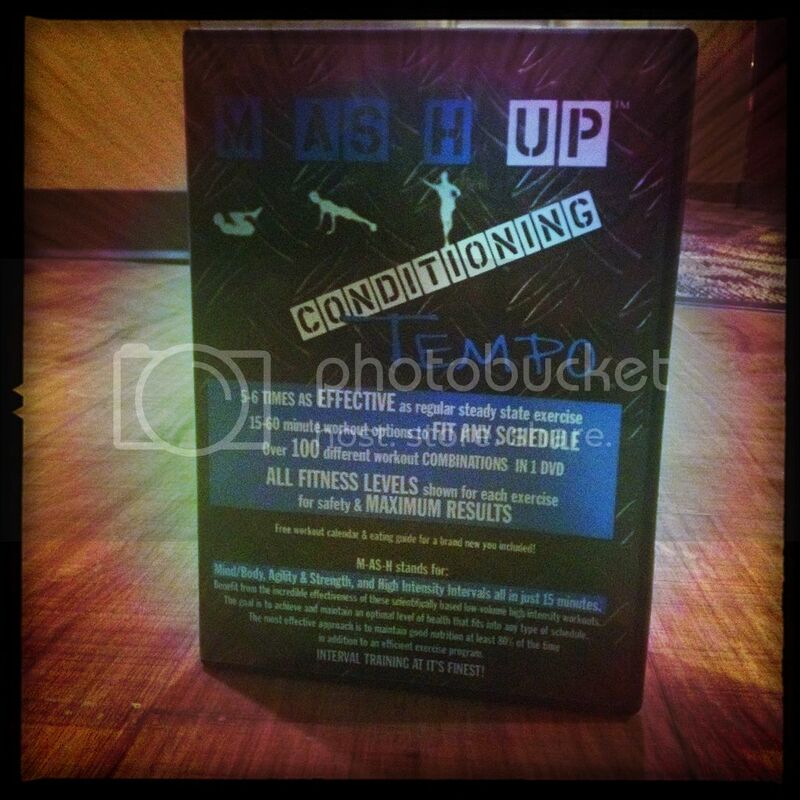 Mash Up Conditioning was nice enough to offer one lucky Downsizing reader a copy of the Mash Up Conditioning DVD. 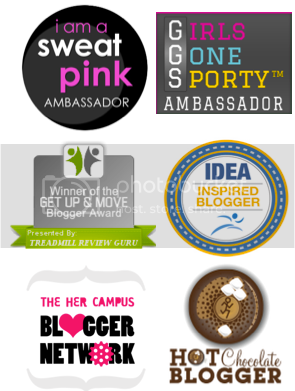 If you are interested, you can enter the giveaway using the Rafflecopter below. Good luck everyone! 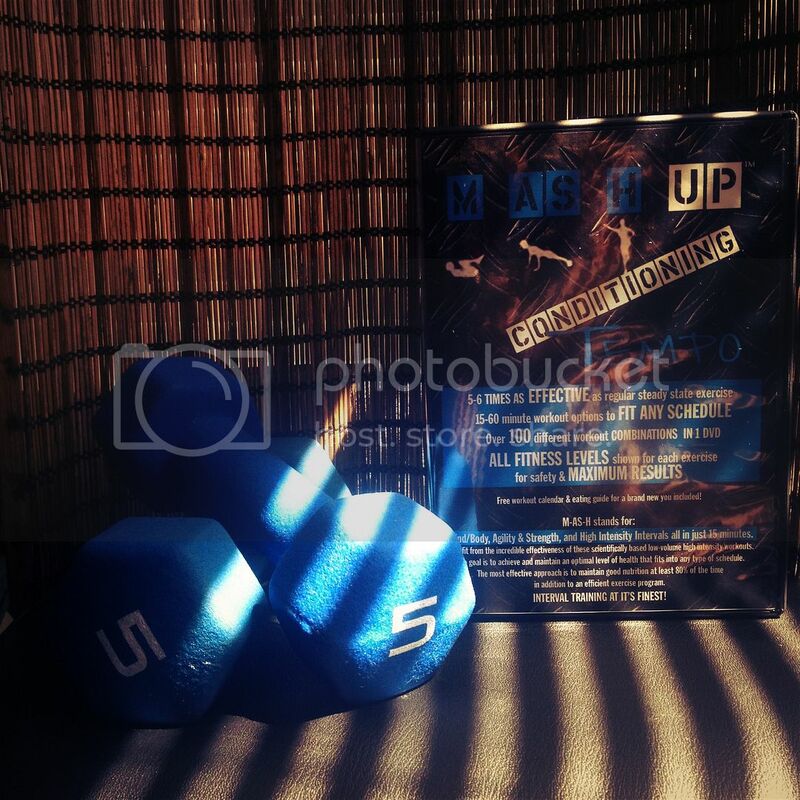 *Mashup Conditioning sent me a copy of the Mash Up Conditioning DVD free of charge in exchange for this review, but as always all opinions expressed in this post are my own.